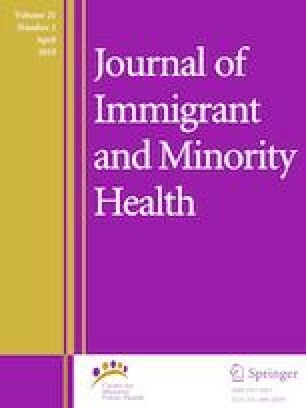 Health research participation of racial and ethnic minorities is significantly lower than their counterparts, impeding the testing and development of evidence based clinical and public health interventions for these populations. The purpose of this study was to determine African-Americans’ (AAs) perceptions about health research, past participation in health research, and willingness to participate in health research studies compared to White adults from a large socio-economically disadvantaged population. Community members ages 18 years or older enrolled in HealthStreet, an innovative community engagement research program comprised the source of study population. A total of 7809 community members (58.6% females) participated in the study with 65.8% AAs and 34.2% Whites. AAs were statistically significantly less likely to have previously participated in a research study, be willing to volunteer for any type of health research study, or to trust research or researchers compared to Whites. AAs also desired significantly higher compensation amounts to participate compared with Whites adults. In logistic regression analysis, education, age, gender, visits to healthcare practitioners and facilities were statistically significant predictors for AAs participation in health research. Keeping in view the findings of our study, clinical and public health researchers and practitioners should use special recruitment and retention strategies to increase the participation of AAs in health research studies. This work was supported by NIH NIDA 5R01DA027951 grant awarded to Dr. Linda B. Cottler and by a Diversity Supplement grant awarded to Dr. Fern J. Webb from parent Grant NIH NIDA 5R01DA027951. Drs. Webb, Khubchandani, Striley, and Cottler have no conflicts of interest to declare.